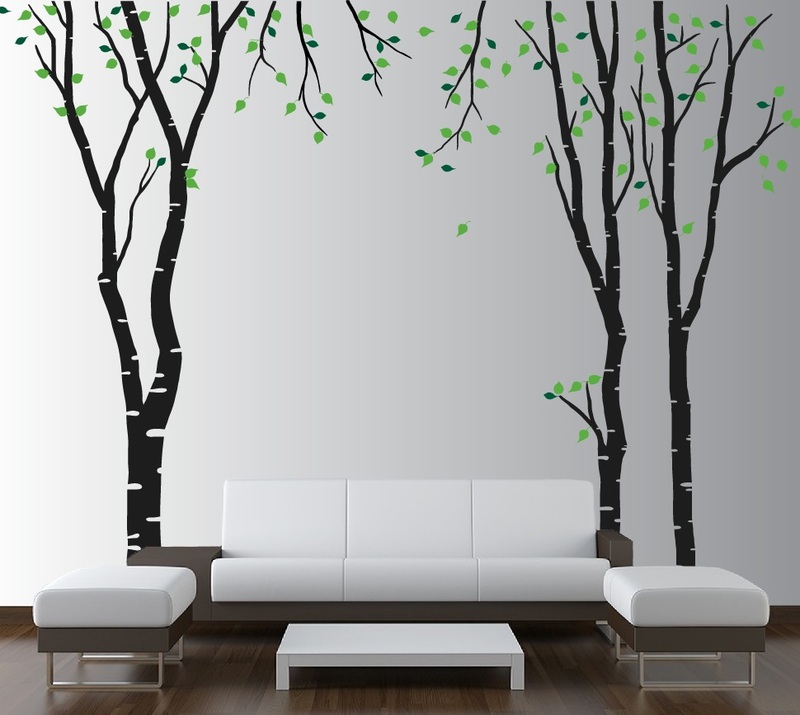 Click the button below to add the Large Wall Birch Tree Decal Forest Kids Vinyl Sticker Removable with Leaves Branches #1119 to your wish list. Tree comes with 120 leaves in the Primary color and 40 leaves in the Secondary color. 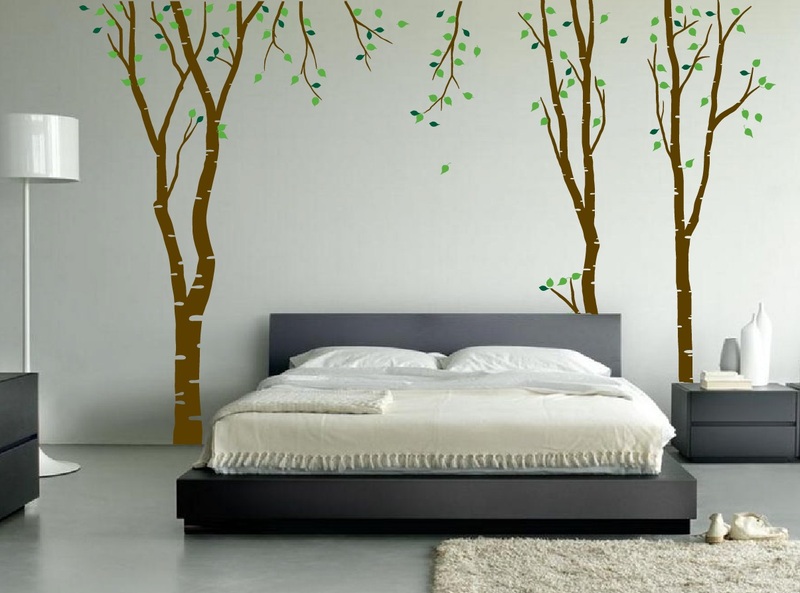 Leaves can be arranged any way you want on the trees. There are 4 different leaf designs included for a realistic look. Love this stuff and will get more! I ordered this decal, along with a couple of deer, for my son's nursery! It took a little while, and help from a friend, to get them all up, but I LOVE the final outcome!! 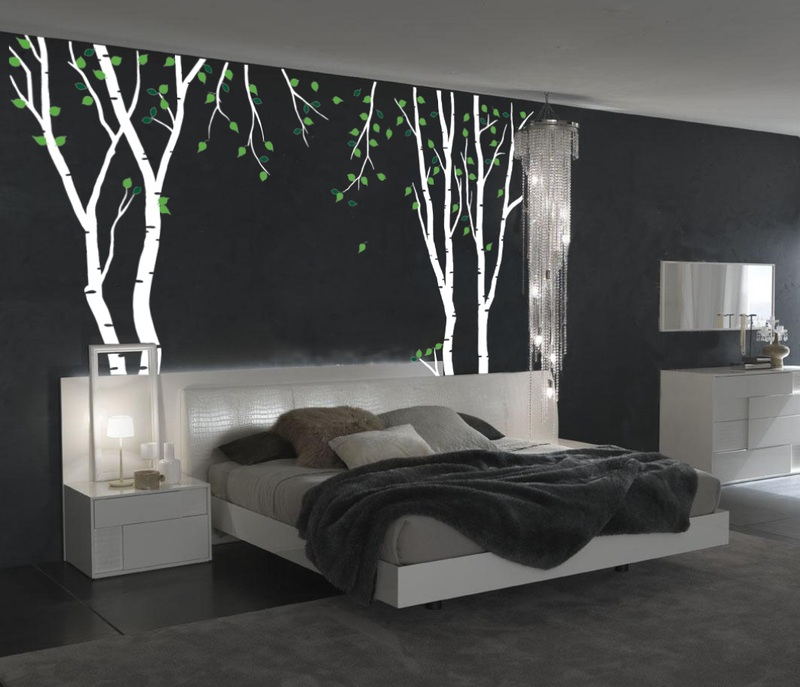 Everyone who sees his room comments on how great the design is. I cannot wait for my little one to get here in March, and I know that it will be something that will last for years to come! I received my order very quickly, and correspondence with Innovative Stencils was easy, with very prompt replies to my emails and questions! I would definitely order from them again, as well as recommend to a friend. My son loves his new room. Looks great, takes some time to put up but worth it. Turned out as shown on the pics! !Looks great! Thank you so much! 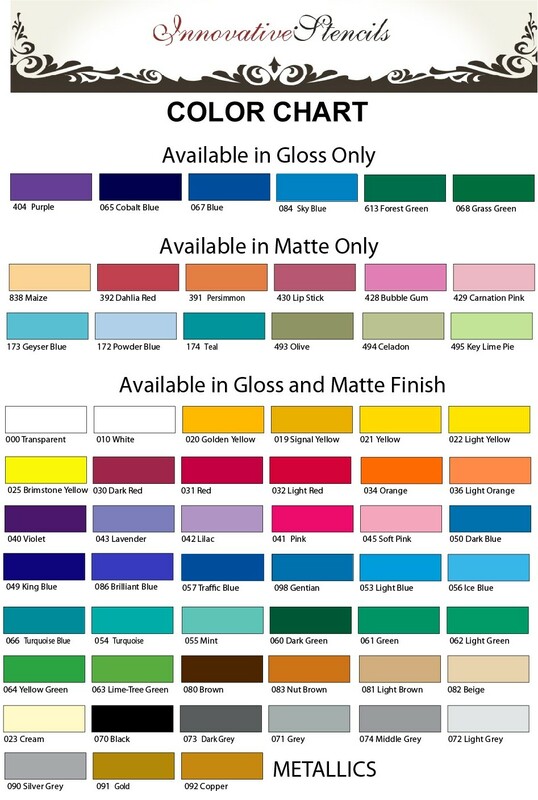 I used this decal for my son's nursery, it turned out great and very affordable.